Goa!!! The name surely gets your heart racing and you go thinking about a all girl's or all boy's trip, a chilled out beer scene, a hippie toned camaraderie... Yes, we all do. 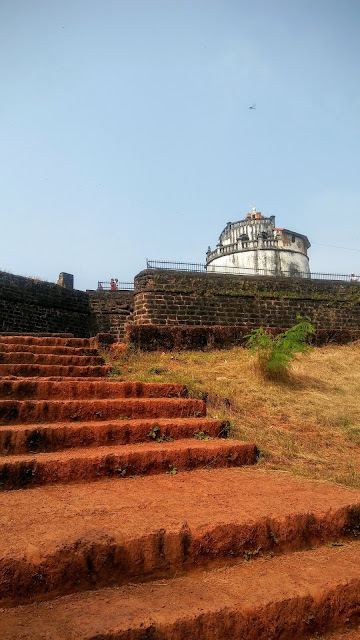 But since this was my third visit to goa, last October 2016, I was more of very to keen to see the other side, thus titled this blog as " Other Side of Goa". Hope you all like it and find it useful for your goa finds. It was a long trip from Mumbai and Nashik to Goa. So basically, I would suggest you to travel through this route of Mumbai-Nashik-Goa or Mumbai-Lavasa-Goa. 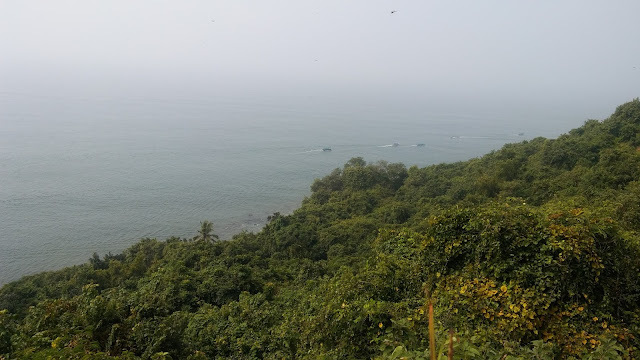 You can always take a flight to goa from Mumbai, if you plan up the trip one or one and half months before, you can get the tickets within Rs1500/- per ticket. You can also avail few of the buses that traverse overnight to get you to Goa. It will be an one hour flight to goa and you reach your travel favourite location. My hotel was located at North Goa so I had to take a private cab and it takes around 1hour 30 minutes to reach from airport. The serenity that you see within next 10 minutes while driving through the narrow highways, keeps you amazed. You can quickly connect to the fact that this is the smallest state of India and also the most beautiful one. Life does not give you that right opportunity to leave everything behind and live your life here happily and thus people like me feel totally envious of the fact that some people can run their small fishery or boutique cottages or boutique shops and spend a life where beach, sand, sun and happy soul plays together. Reached the hotel in north goa around 5pm in the evening and checked in at Lazy Lagoon Portico Suites by Sarovar Portico Group. I have booked it through goibibo and rates per night was around Rs3400. 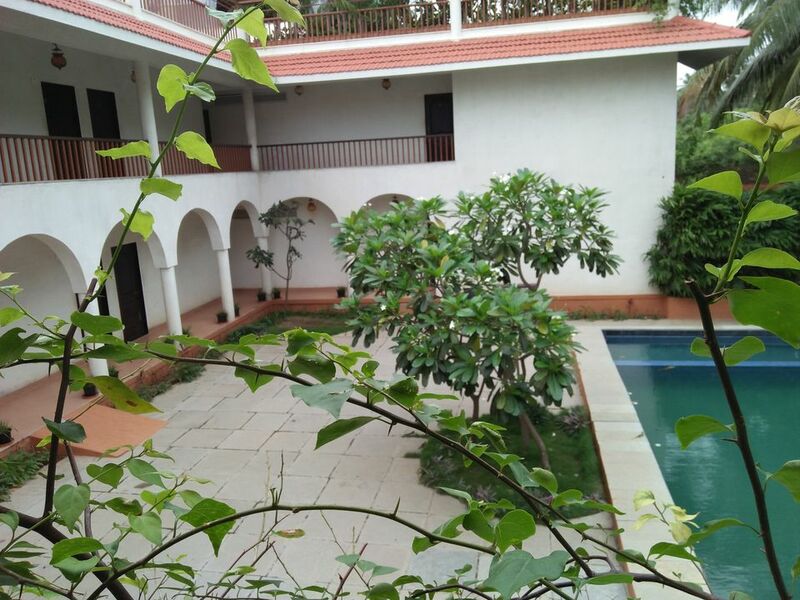 The hotel has a beautiful pool inside and all rooms open to this pool and beautiful lagoon behind it and it feels more like Kerala backwaters. Dinner was done at the hotel itself and they have both a la carte and buffet too. 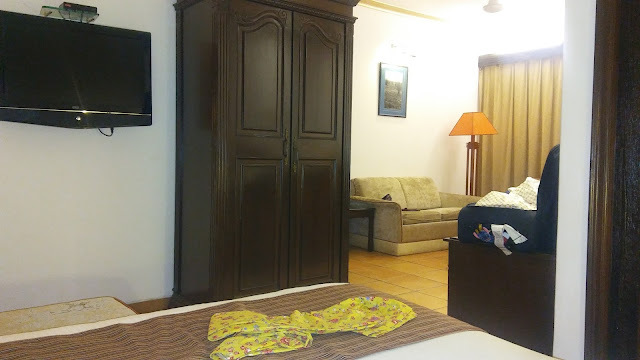 The rooms are big and spacious and decorated graciously, infact deluxe rooms have separate sitting space too. Bonus, you see. Haha!! 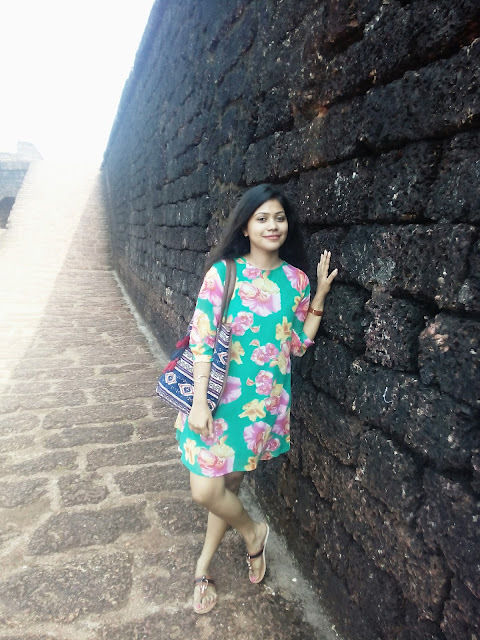 After a hearty breakfast, we headed for Fort Aguada which is around 1 hour journey from north goa. The fort needs you walk a lot but its worth walking a lot and reaching the highest part of the fort as you get to see a stunning harbor view, overlooking the arabian sea and if you want to know more about the fort or the interesting history of goa, I would recommend you all to read "Goa and The Blue Mountains" by prominent traveler and historian Richard F Burton. 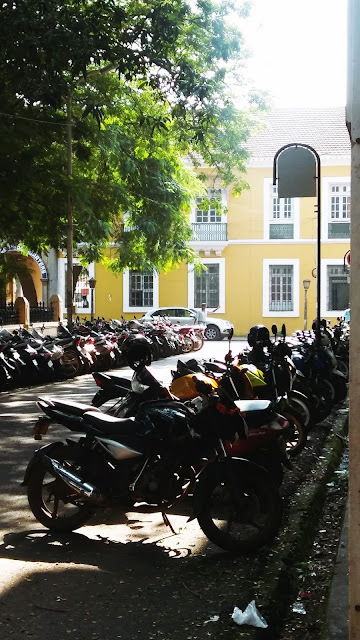 We then headed towards panjim, the quaint capital city of this cute state of goa. I had made my list of places to go much before the trip started and hence was searching for a boutique shop called Barefoot. It is difficult to locate but worth your time. The shop has great collection of eclectic home decor products and also pretty everyday wear jewels. The shop is located at 31st Janeiro Road or as the locals say 31st January Road, just near the subway,in a bylane. Next was our lunch at a local restaurant at panjim itself and if you love pork, do try Pork vindaloo at any one of these local restaurants. I am not into pork thus had chicken vindaloo which was delicious but the locals claim not as delicious as the pork version would have been. Next, we went to my favourite beach, Calangute Beach and the breeze through my hairs as usual always made me feel, if love exists, it does here. You cannot resist but fall in love with this place. And if you are lucky, like the way I was on that day, I got to visit the saturday market where you get various hippie sorta clothes at pocket friendly prices. We then headed back to our hotel and did some brisk walking near the north goa itself. One thing you can stay assured off that you are very much safe over here as thousands of people visiting goa all year long. 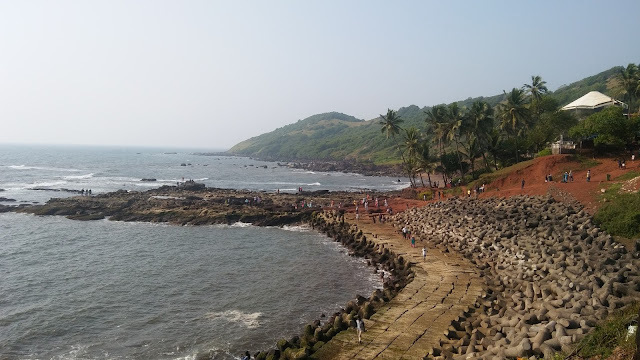 We started with Dona Paula, a beautiful boating place where you can enjoy the day by lazying around. 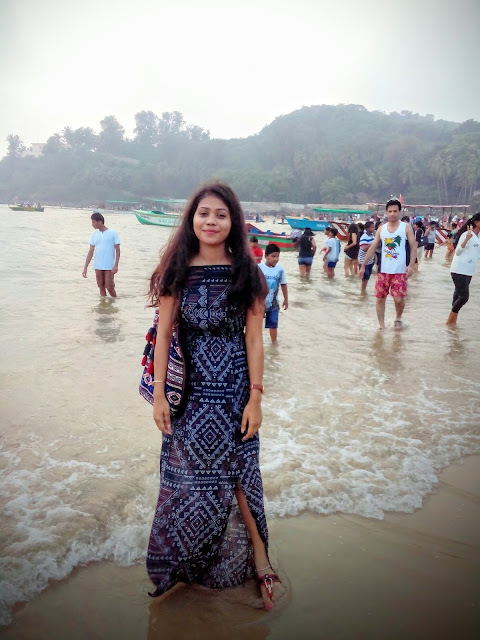 In the evening time around 4pm, we went to the beach nearby which is also everyone's must go place ie Baga beach and if you are coming to goa on season, you have lots of adventure sports to try here like hot balloon, parachute climbing, speedboat, banana boat etc. I have tried the speed boat and its marvellous, gets your reflex actions scream louder. Haha!!! I also got to see the place where the films are being shooted at goa alongside of this beach. For food lovers like me, there are ample number of food shacks all around the coconut fringed sandy line and you get the cheapest beer and spicy-esssssssst starters. Let yourself unwind all your yearlong work ethics and sip your favourite drink and munch on your spicy starter friend while watching the waves come and go and reminding you how much you need a vacay like this, how much enthralling is to travel for the rest of your life. 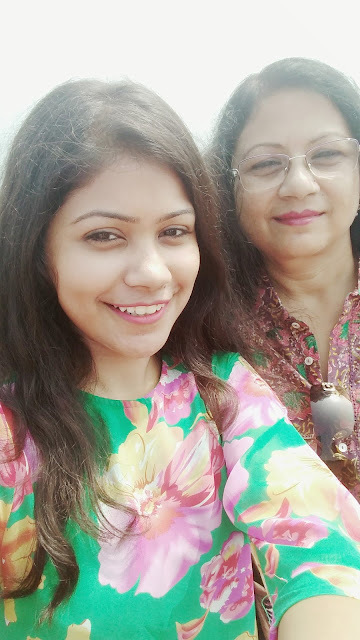 I will share some of the pictures from this trip, unfortunately could not vlog for you guys as I am still behaving like a shy nursery kid to video my journey while onlookers pass me by but I promise my very next trip will be vlogged for all good and right reasons. Hope you all have liked the blog post and for more details and snaps about this trip, follow me on instagram. You can mail me at ritusree92@gmail.com for any suggestion or queries.